Jory didn't know what to expect when he transferred to St. Genesius Prep, an all-boys school known for their incredible theater department. 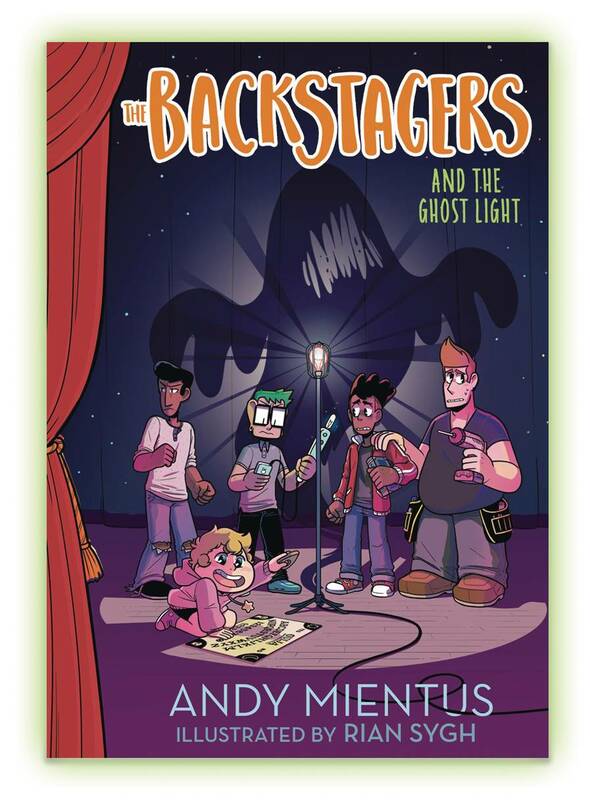 He ends up on the stage crew, or 'backstagers' as they like to call themselves, and discovers the magic that happens behind the scenes of each production. 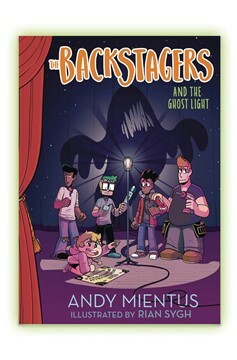 When some of the cast members decide to play with a Spirit board, the ghost light goes out. Ghost lights are supposed to protect the theater from ghosts sneaking in the shadows. The kids don't think too much of it. However, when they decide to put on the musical Phantasm, strange things start happening right away: a fallen light, a missing prop, a star with something to hide. Could there be evil spirits in the theater?.